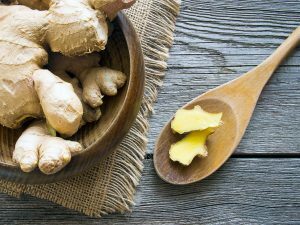 Ginger is one of the spices that should never be missing in your kitchen: it helps digestion, boosts your immune system, helps you lose weight and more. Here are all the benefits of ginger and how to use it for the well being of our body. Ginger (Zingiber officinale Roscoe) is a 90 cm tall flowering plant that originated from China. The plant is made up of a buried stem with branched rhizome from which vegetative stems arise, but it is the rhizome (which some incorrectly call root) and not sprouts, that has beneficial properties and is the part used in cooking and for the preparation of herbal teas. It contains essential oil, gingerol, zingerone, resins and mucilages, which give the rhizoma its medicinal properties. It is used fresh or dried and powdered. 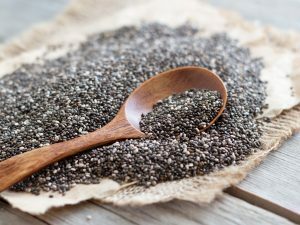 It has many benefits for your health: it combats nausea, aids digestion and helps you lose weight. Ginger can therefore be used both as a food and as a natural beauty remedy. Ginger is rich in water and contains carbohydrates, amino acids, proteins, mineral salts (calcium, phosphorus, sodium, potassium, magnesium, iron, manganese, zinc, copper, selenium), B vitamins, vitamin C and vitamin E.
Soothes digestive system: Ginger has so many health benefits for your stomach. It helps digestion and, as it contains gingerol, it also helps fight excessive gas and soothes the intestinal tract. 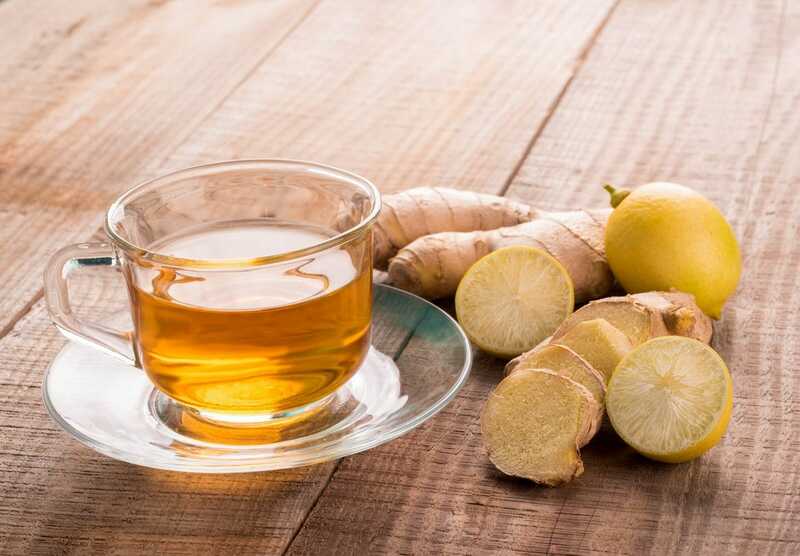 It is also great for combating nausea during pregnancy, car sickness and sea sickness, and is therefore also ideal for children traveling on a journey: before starting your journey, just chew a piece of ginger root to relieve the nausea. Boosts immune system: Ginger helps fight the flu and common cold, but also cough, fever and sore throat. In case of fever and nasal congestion you can add a little ginger to your usual herbal tea. If you want to relieve sore throat, you can eat a fresh piece when you start having an itchy throat. Calming and soothing: Not everyone knows that you can make a ginger compress to relieve muscle pain due to sprains or falls, or use essential ginger oil as a massage oil for muscles after physical activity. You can also use it to soothe burns, skin rashes and herpes. Just insert ginger slices into a cotton cloth that you will place on the top of a pot for steaming, leaving them for 10 minutes. Once the cloth is lukewarm you can apply it on the body for about 15 minutes. Soothes headaches: Ginger relieves migraine symptoms because it has the ability to block inflammation at the blood vessels level. 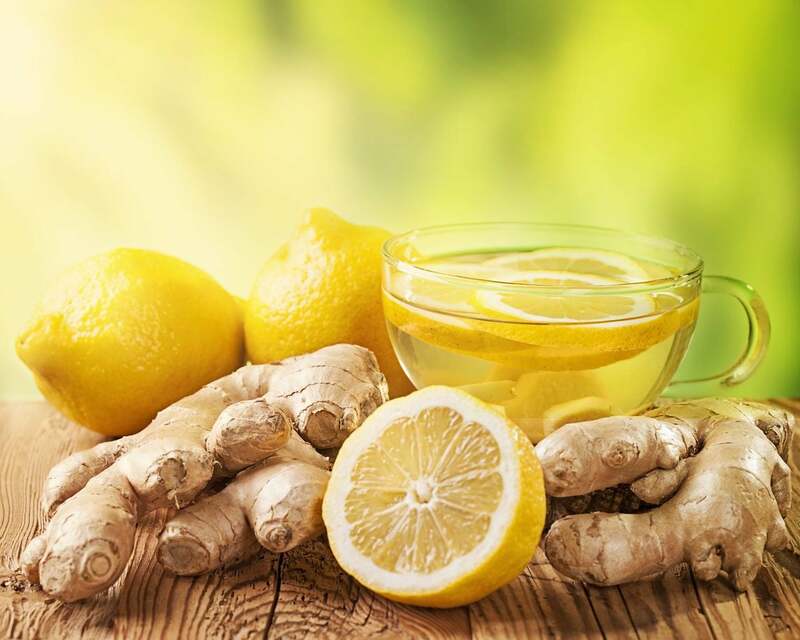 If you have a migraine, preparing a ginger tea can be an effective remedy to ease the pain. Helps you lose weight: Consuming ginger is one of the best ways to aid in the weight loss process. Its thermogenic effect helps you burn fat and promotes metabolism: you'll only need to chew a piece of fresh ginger several times a day. Ginger is a vasodilator and enhances circulation of the blood. It is also a natural diuretic that flushes out excess water weight. To speed up the process, use fresh ginger or make a ginger tea. Add ground ginger to your meals, or make herbal teas by boiling sliced ginger in water. 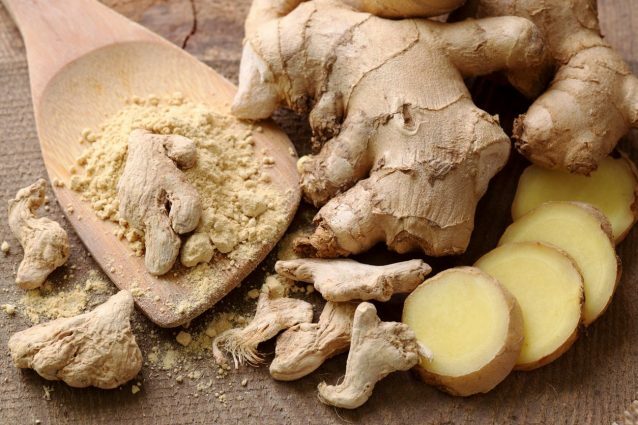 Lowers blood pressure: Ginger is useful for treating hypertension because it helps slow down the build up of platelets and lowers the risk of blood clotting. This ensures greater blood flow. 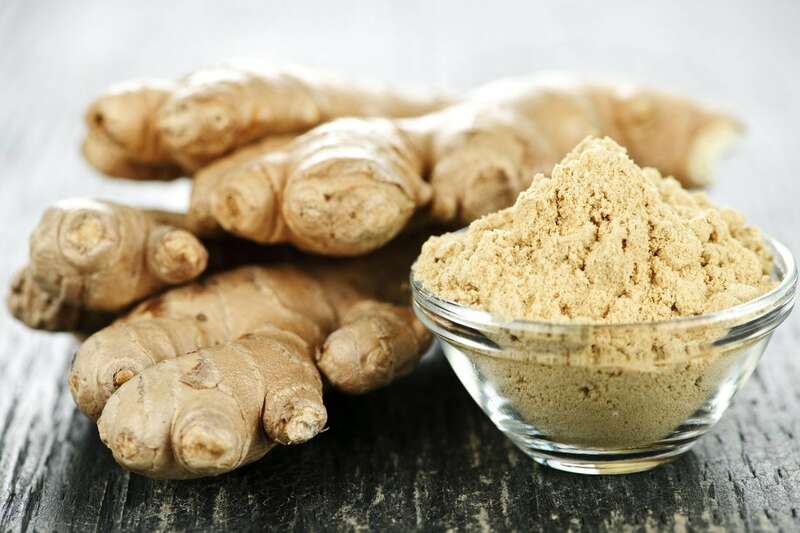 Helps intestinal flora: Thanks to gingerolo and zingiberene, ginger has astringent properties and helps improve bowel bacterial flora by combating those malicious bacteria that are responsible for diarrhea and constipation. It also helps deflate your belly because it fights flatulence and meteorism. 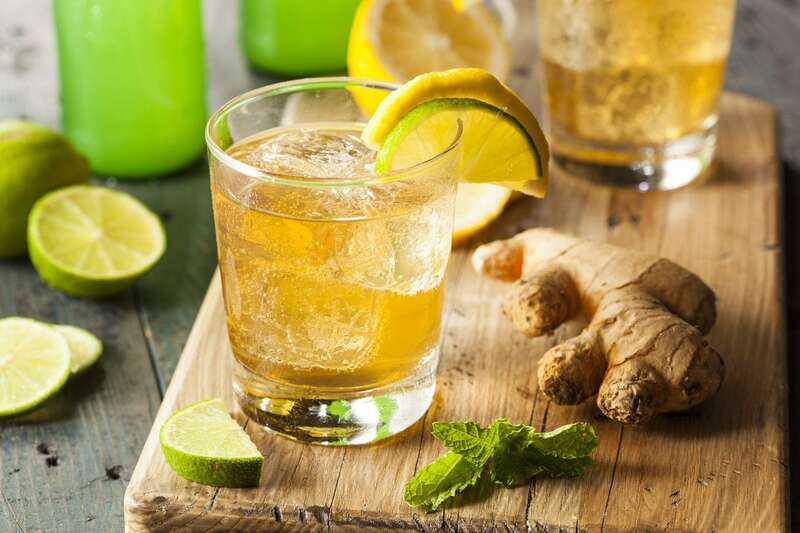 Ginger is widespread and is sold in supermarkets, especially fresh, and in health food stores in the form of essential oil, preparations made from dried ginger, tablets and creams. We can find on sale both gray ginger (that is, with skin) or white ginger (skinless), the best seller is gray because it can be preserved longer. There is no difference in taste between fresh and ground ginger, the difference is mainly in the price as the fresh one costs more and is difficult to preserve for a long time, the best way is put it in the refrigerator wrapped in a damp cloth or marinate it. The powder, on the other hand, costs less and can be preserved longer: just store it in a cool, dry place for several months. To enjoy the benefits of ginger just chew 1 or 2 gr. a day of fresh rhizome before meals or use it in your meals. You can use fresh ginger or ginger powder in cooking to flavor meat or ethnic recipes but also in soups, sauces, giving a slightly spicy and tasty touch to all dishes. 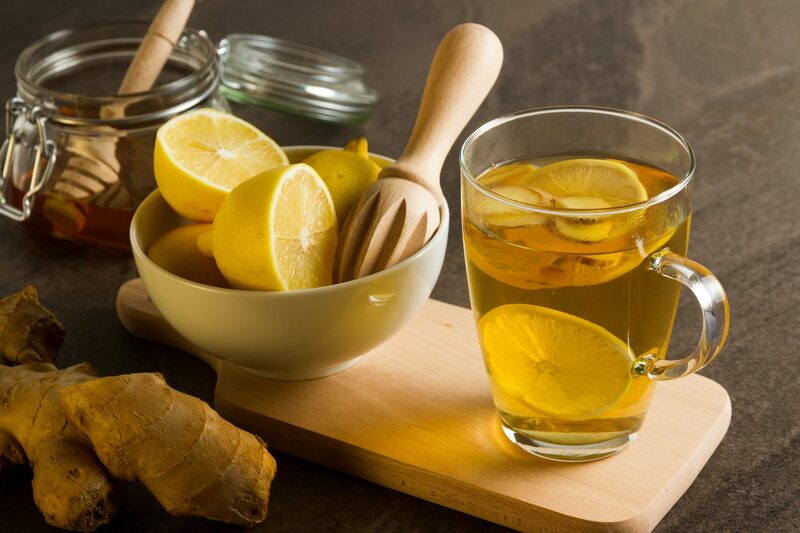 Both ginger and turmeric have strong anti-inflammatory properties, so they are suitable for preparing a herbal tea to aid digestion and prevent heartburns but also to boost the immune system. 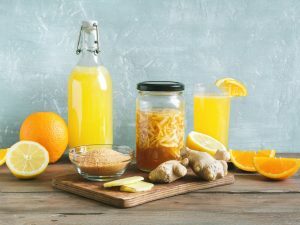 What you need is a teaspoon of fresh ground turmeric (to be bought in health food store), a piece of ginger, a slice of lemon and honey to sweeten. Bring the water to a boil, then pour turmeric and ginger and cook for 15 minutes. Strain out with a colander and add the slice of lemon and honey if you want to sweeten it. This drink will boost your immune system and will help you burn fat. It promotes metabolism and has a diuretic effect, so you will lose weight and combat cellulite. Even skin will benefit of that, thanks to the antioxidant power of vitamin C, which helps fighting free radicals. To make this drink you have to bring water to a boil in a small pot where you have already added ground ginger. When the water starts boiling, cover the pot and let it rest for 10 minutes, then add the juice of two lemons. It is preferable not to add sugar. You can drink it either hot or cold. 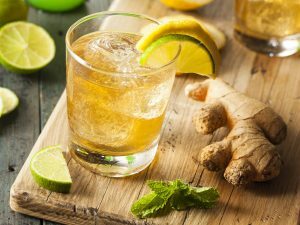 What happens to our body if we consume ginger everyday? Ginger, like all medicinal plants, should not be used for long periods and in massive doses otherwise it may have the opposite effect to the one we wanted as it may lead to an upset stomach, abdominal bloating, heartburn and constipation. So you should not consume more than 2g per day. 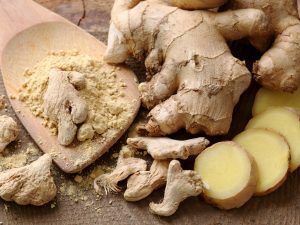 It should be used with caution by allergic subjects because it may cause skin redness or skin rashes, even if they don't have to worry because ginger is not toxic. It is advisable for pregnant women to consult a physician before using ginger because ginger has properties that stimulate the contraction or expansion of uterus. Finally, since some active ingredients of ginger act on blood and heart circulation, it is advisable to consult your physician prior to use, especially in subjects suffering from hypo and hypertension or heart disease.